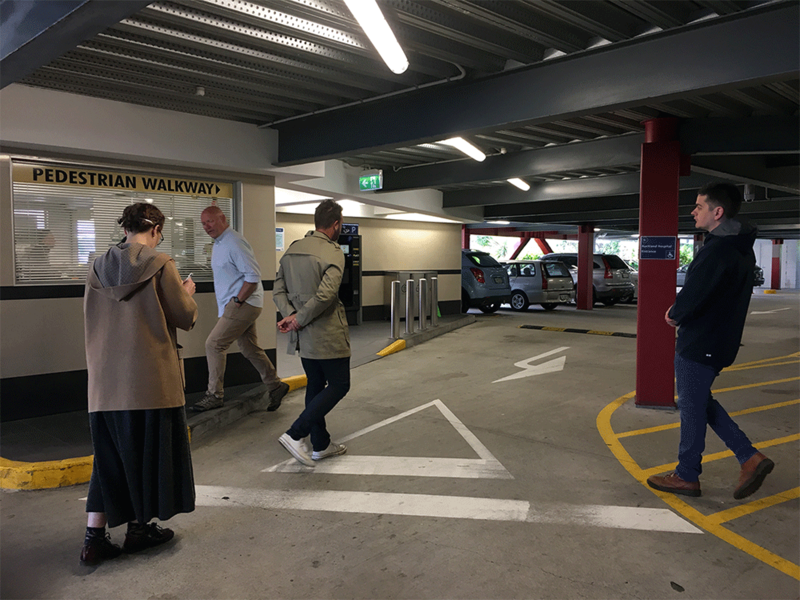 This past year the DHW Lab has been working on improving wayfinding at Auckland City Hospital. To provide expertise around the strategic elements of wayfinding, such as designing and problem-solving for a campus-wide system, wayfinding strategists ID/Lab were engaged. Specialising in hospital wayfinding, they have designed for over 40 hospitals world-wide. Unlike a traditional client/consultant relationship, this was a collaborative venture between the two studios. Strategists and designers from the firm worked over an intensive 7 days with designers from the DHW Lab. We explored the campus using journey mapping, personas, and prioritised areas for improvement. 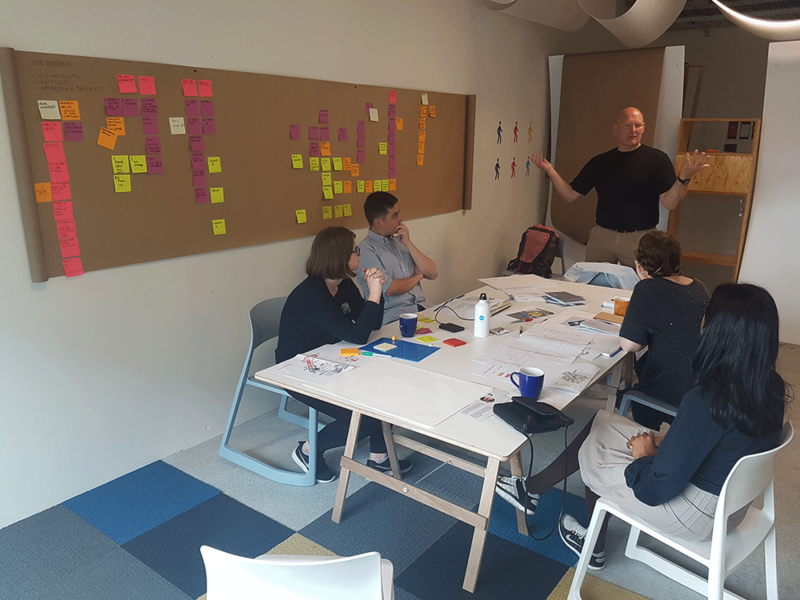 As part of this collab, ID/Lab coached members of the team in the dark arts of wayfinding, providing insight into their strategic approach and methods in solving complex, multi-layered problems. For both studios this was a positive new experience, and we look forward to more collaborative opportunities like this in the future. The clarity they provided in their wealth of experience was refreshing and inspiring. 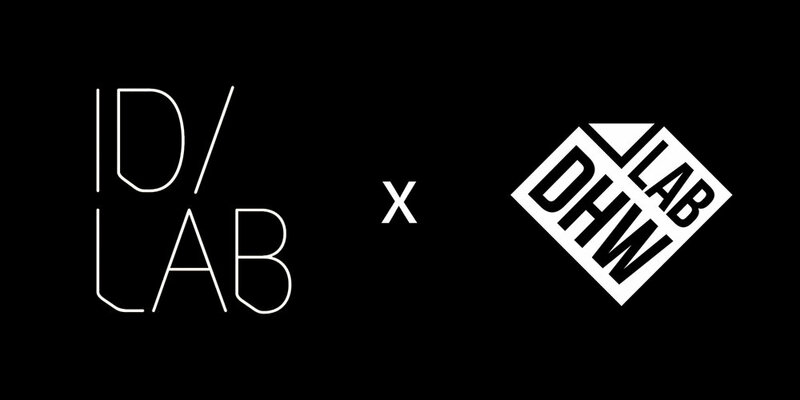 As part of their time with us the wayfinding work the DHW Lab had completed to date was critiqued, and many of our ideas validated and made more robust. 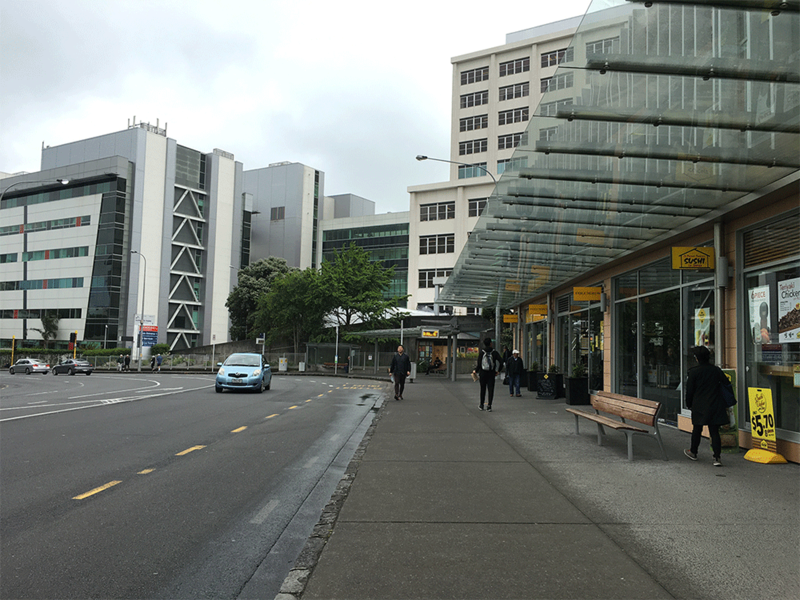 They will continue to support us till early next year, as we compile the wayfinding strategy, recommendations, and updated design guideline for the Auckland DHB to take forward.